In Week 16 of the 2013 season, the Seahawks lost at home to Arizona — putting the pressure on to clinch the No. 1 seed in Week 17. They did that and then went on to win the Super Bowl. This season was set up to be a carbon copy of 2013, but just about the only thing that has followed 2013 form has been the Week 16 home loss to Arizona. Unlike 2013, this Seattle team has no shot at the No. 1 seed. And it needs help to claim a bye. In fact, this crew will be lucky to win the one home playoff game it is guaranteed. It’s all part of a disturbing downward trend since the Super Bowl XLIX debacle. Some horrendous personnel and coaching decisions over the last two years have turned them from Super Bowl contender to mere playoff participant. Sure, they have a chance to win the Super Bowl this season, but they don’t look capable of doing it. Not with this offense — and not without Earl Thomas. Russell Wilson and Co. are wildly inconsistent, as they proved once again in the 34-31 loss to Arizona. This is Seattle’s worst offense since 2011, when they went 7-9 the year before Wilson arrived. They are scoring just 21.9 points, far off the 26.1 average the year they won the Super Bowl and only 1.8 points better than that subpar 2011. There’s no sign they are going to be any better, either. Their offensive line has shown no consistency and cannot be trusted against some of the defenses the Seahawks might see in the playoffs – e.g., the Giants, Detroit, Dallas. They were just manhandled by a tough Arizona defense that always causes them trouble – a week after another subpar game vs. the Rams, three weeks after a horrendous game in Tampa. They played well enough in a 40-7 win over Carolina and were fine in the first half against Green Bay, until Wilson put the Hawks in a huge hole with all of his unforced interceptions. The Seahawks still have no running game either. They have averaged under 3.0 yards per carry seven times this season – the most in the Pete Carroll era. 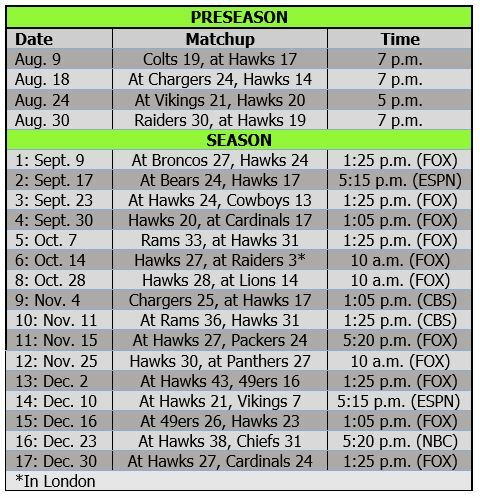 The Hawks have lost three of their last five games – two of them in ridiculous fashion: Just five points against Tampa and six turnovers in a 38-10 wipeout in Green Bay. There is simply no telling which team will show up on any given game day. The only consistent thing about the Seahawks is their inconsistency – and their ongoing trend of losing key players to injuries (like the rest of the NFL). The Seahawks will miss Tyler Lockett, who tragically suffered a horrendous broken leg that could leave him out until next September. But they won a Super Bowl in 2013 without Lockett. The bigger absence will be Earl Thomas, who at least confirmed he will come back from his own broken leg next year. Replacement safety Steven Terrell gave up an 80-yard touchdown reception vs. Arizona – showing just how vulnerable the Hawks suddenly are against the deep pass. They could face three of the top five deep-ball teams in the league, Atlanta (No. 1 at 9.2 yards per attempt), Washington (8.1) and Dallas (No. 5 at 7.9). Detroit and Green Bay can throw it deep as well. 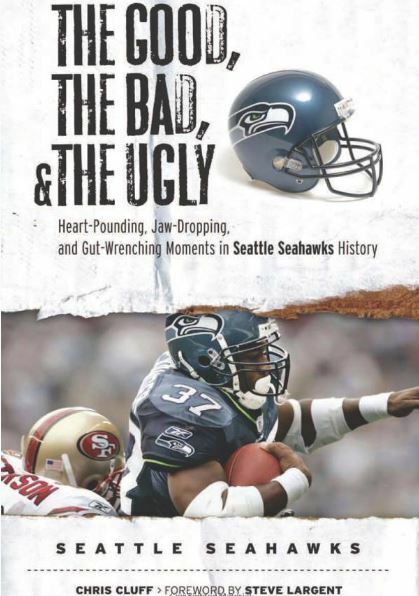 Add to those concerns the Hawks’ ongoing failures in the kicking game, and it is hard to see Seattle overcoming some of its deep flaws in order to get through the NFC’s top teams and back to the Super Bowl. Some historic trends bode poorly for Seattle as well. The three times the Hawks have reached the Super Bowl, they have been No. 2 in NFL point differential. This team ranks fifth in that metric – thanks to the low scoring average. The Seahawks have reached the playoffs nine times with nine or 10 wins. 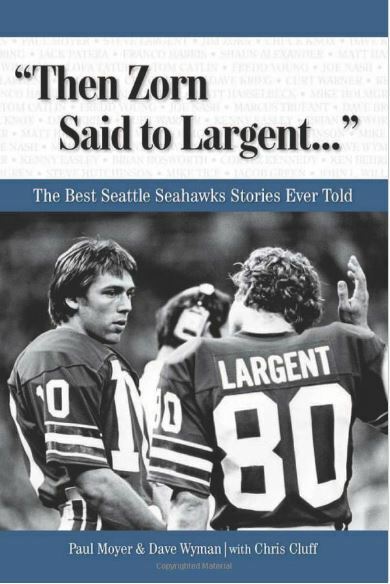 But only one of those teams even made it to the conference title game – Seattle lost in the 1983 AFC Championship Game. On the bright side? Five NFL teams with nine or 10 wins have won the Super Bowl — four doing it in the past decade (the Giants twice, Green Bay, Baltimore). In 2007, the Giants lost two of their last three games but still managed to put together a four-game winning streak – on the road — in the playoffs. The Seahawks are pretty unlikely to get the No. 2 seed – they have to beat the 49ers and get a loss each from Detroit (vs. Dallas or Green Bay) and Atlanta (vs. New Orleans) – so they probably will have to win three games to get to the Super Bowl. They have put together two three-game winning streaks this season, so there is a chance they can do it again and beat three of Detroit, Washington, New York, Green Bay, Atlanta and Dallas. But that would require a consistency they have not shown over the past five weeks.